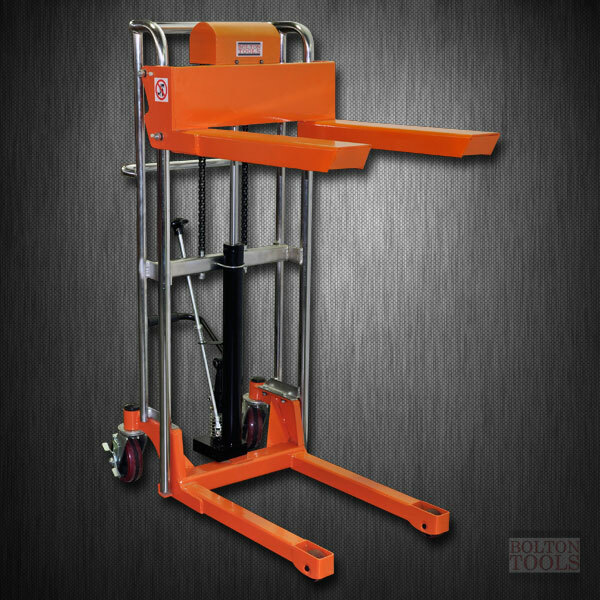 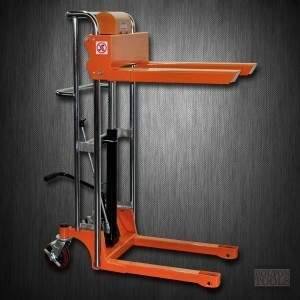 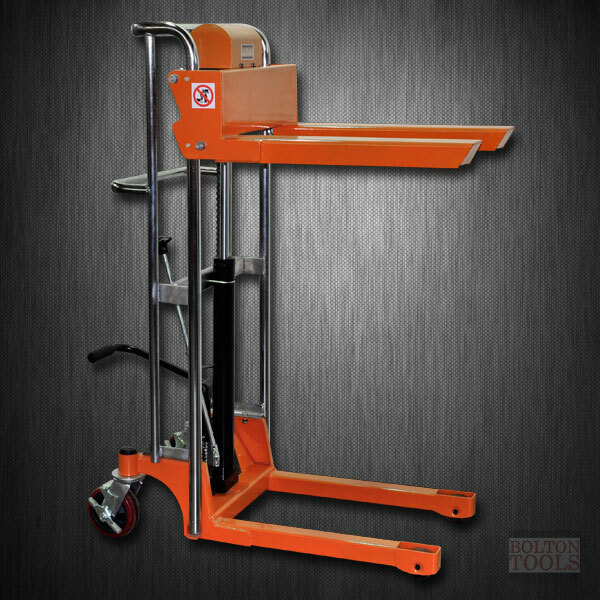 Bolton Tool's Foot Operated Pallet Stacker can lift your pallet cargo up to 880 lb. 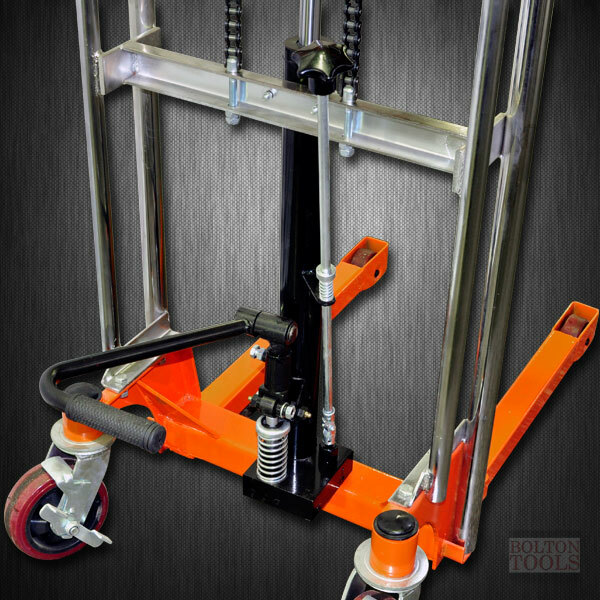 Table Size: US: 24.0" x 22.8"
Packing Dimensions: US: 37.4" x 23.6" x 70.9"
What are the differences between this model, TF40-11, and TF40-13? 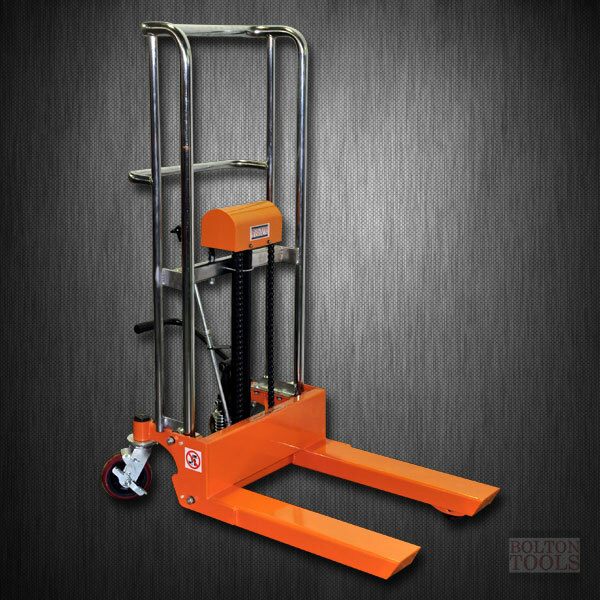 - The Maxmum height, the overall rest height, and net weight. 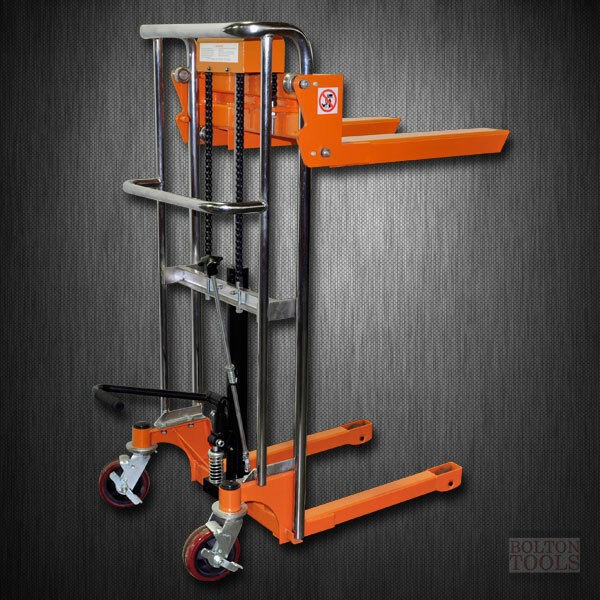 For the TF40-11 the maximum height it can reach is 43.3" (1100 mm), the overall height of 53.7" (1365 mm) with net weight of 187.4 lb (85kg). 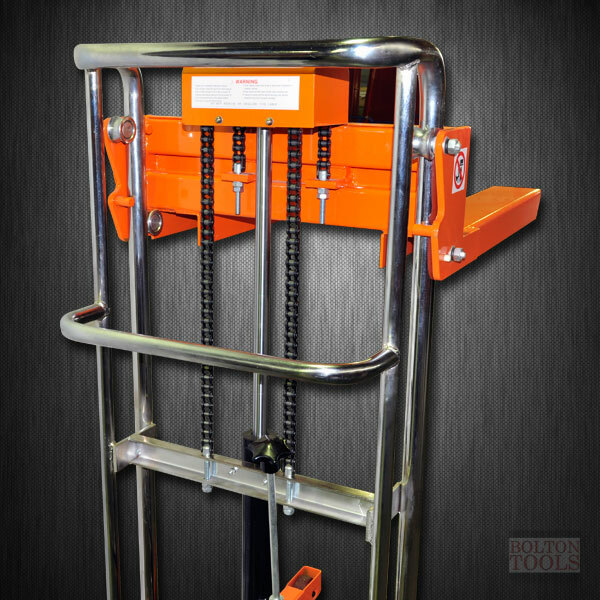 For model TF40-13 the maximum height it can reach is 51.2" (1300 mm), the overall height of 61.6" (1565 mm) with net weight of 194 lb (88kg).